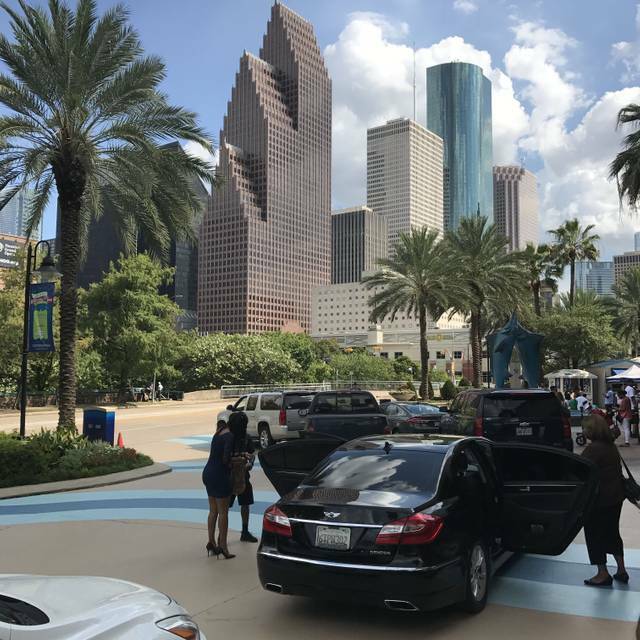 You must make reservations at least 5 minutes in advance of the time at Downtown Aquarium. We have a drive up valet service at the front entrance along with our own parking lot for self parking. There are also parking garages in the downtown area available in the near vicinity. METRORail Train: Travel northbound (Fannin North). Exit train at Preston and Main. Walk west on Preston to Bagby. 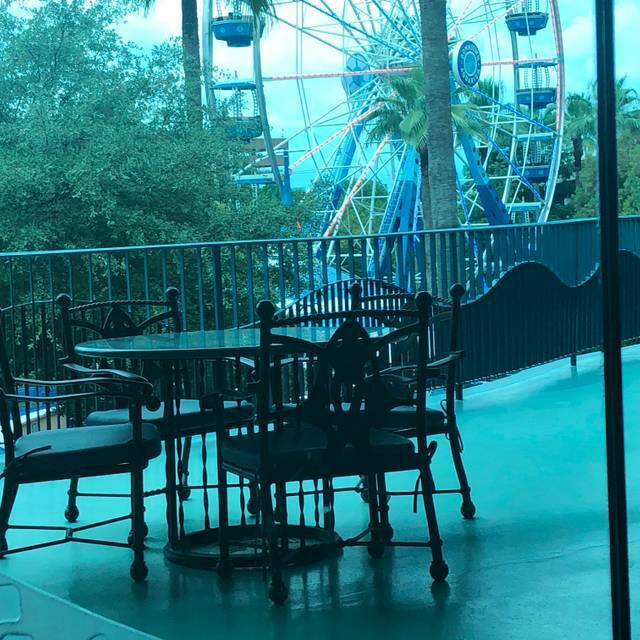 Aside from our amusement rides, midway games and Aquarium exhibits - guests can enjoy holiday brunch weekends, festivals, live music and events throughout the year. Some of these include Shark Weekend, Smash the Squash Halloween event, Latin Beats, Romance Under the Sea, Easter Brunch, and Breakfast with Santa. Our full calendar of events is on our website. 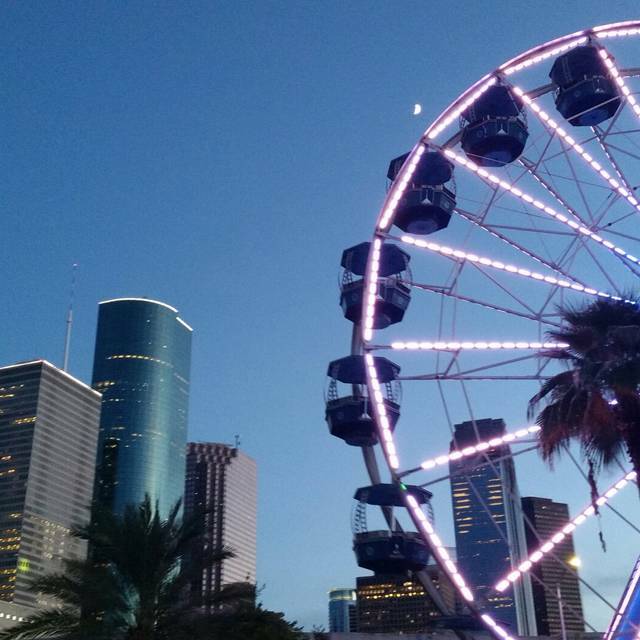 Check out our yearly calendar of events on our website to plan your visit! 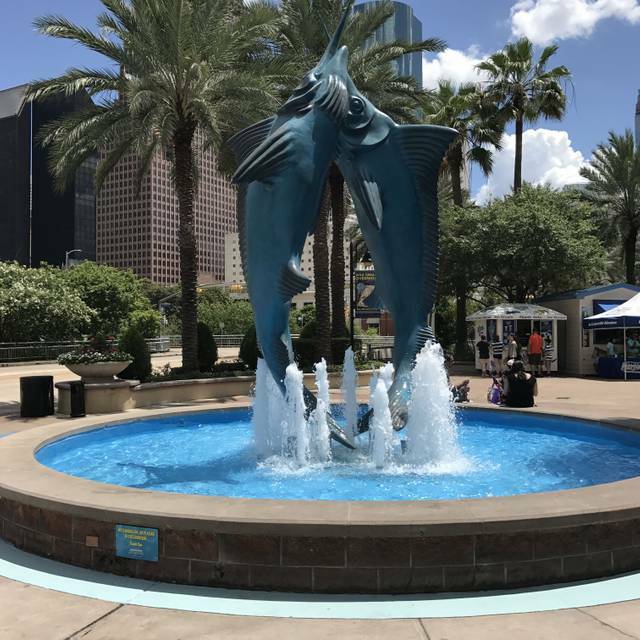 Dive into food and fun at the Downtown Aquarium – an underwater adventure! 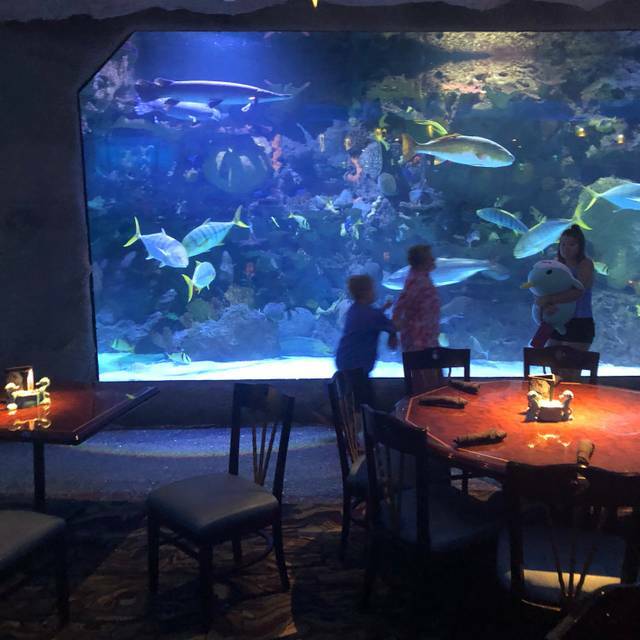 Enjoy our one-of-a-kind Aquarium Restaurant and make a splash with deliciously fresh seafood, steak, chicken, pasta and decadent desserts all served in a spectacular underwater setting. 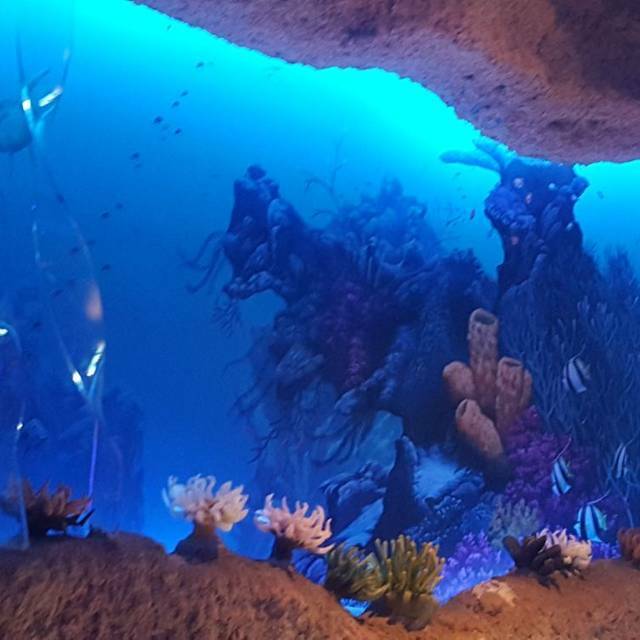 You'll be seated around an elaborate 150,000 gallon aquarium home to over 200 species of aquatic life from around the globe. Pay a visit to The Dive Lounge, the perfect setting to unwind with one of our refreshing cocktails. Continue your adventure and explore our Aquarium Adventure Exhibit, touch and feed deep-water dwellers at Stingray Reef, catch a glimpse of the magnificent White Tigers of the Maharaja's Temple and play the day away with exciting midway games and amusement rides. 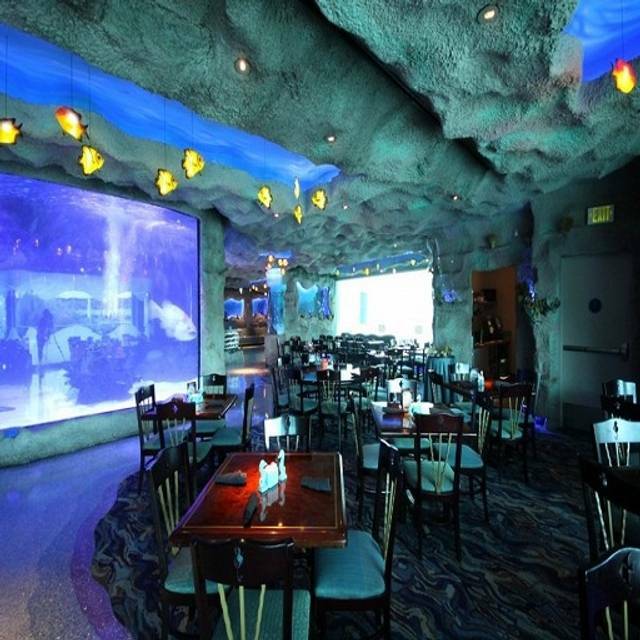 Begin your Dining Adventure at Downtown Aquarium today! My special accommodations weren’t even considered. I had asked for a table near a tank. We were at the bad. I had mentioned when making the reservation it was to celebrate my wife’s 30th birthday. I had to remind the waiter because they forgot. We were seated in a timely manner and the server did great us and take drink orders right away. The food was not as good as I had remembered from a previous visit, but was still good. The serving temperature was a little lower than I like and felt possibly the meal sat a bit before served. The wait staff was friendly and did his best to keep our drinks filled even though very busy. I was shocked at the $4 per glass charge for iced tea . However all this aside it is one of our favorite places and I am sure we will return. Went around 2pm on a Saturday. It was not packed however frequent patrons. The food was delicious, fast, hot and correct. Alcoholic beverages were made well and delicious. Service was too slow. Only a couple of waiters on a big area. This was a surprise for my husband as it was his first time there. The service and food were amazing. He asked to make a small change to his meal and it was done with no questions or issues. The only complaint if you can even call it that was just wanting a more "secluded" seating arrangement. But overall it is still a family environment so we were definitely understanding of that. It was great! The staff is amazing! They accomodated our vegetarian and no seafood diet. The chef came out to personally talk to us. I would recommend this restaurant to everyone! When viewed as a child friendly attraction for entertainment, the Aquarium certainly delivers. However, the food offerings are very over cooked. If you like your steak medium, order medium rare. The shrimp and lobster are cooked to the point they are actually tough, similar to like fare found at Golden Corral or other buffet style restraunts. Therefore, the pricing is very high for the quality of the food delivered. Additionally, if you are looking for a quiet evening dinner, definitely look elsewhere. 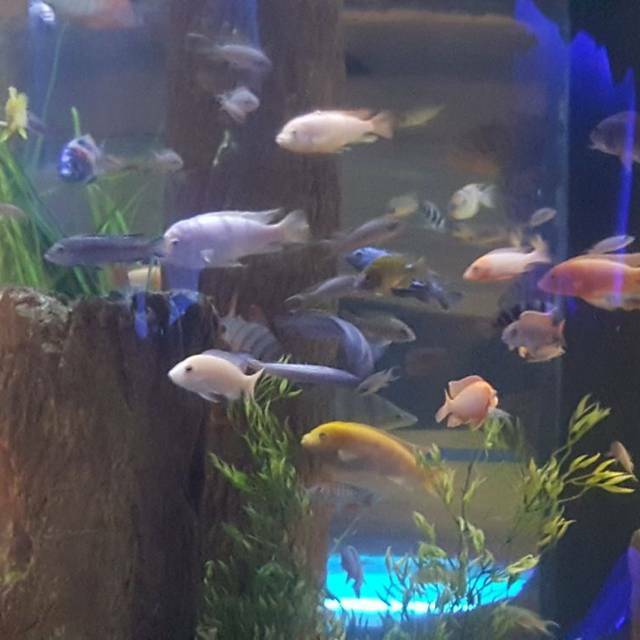 The children's peals of laughter watching the fish swimming throughout the various aquariums were at times, ear-splitting. If you typically use hearing aids, remove them and you will be fine, otherwise, I recommend foam ear plugs. Our entire family, children and adults, enjoyed the entire experience. Our waiter Michael was greatttt!! I came out for my birthday and it was our first time eating there. I would definitely come back! We had the best time. Our waiter was super nice and very helpful. My son has autism and some of the waitstaff was very rude and had negative comments about him. We tried to make the best of the situation but sometimes it’s a little difficult. The food was terrible, it was over-priced trash. I am so disappointed that I spent so much and the quality of the food was awful. A ceasar salad was ordered and got a mixed green salad instead. Mac and cheese was ordered and got fries instead. Other than that everything was delicious. Fun for the kids, a good addition as part of the overall Aquarium experience and enjoyed the time. The food was great and Jazmine was an awesome server. We had a great time. The food was great, our waitress was great and it was a little noise due to being spring break. An Amazing experience, my family had a very great time. This was my husband and kids' 1st time, they had an amazing time. Called ahead to change my reservation with no problems. My husband drink was incorrect, but our server had it fixed right away. Management was also very tentive. I live everything about this place. Great food, good fun for the while family. Great food. We came on a very busy day and had to wait 30 minutes for a table I reserved. Very crowded and chaotic. The food is ridiculously overpriced for thetaste and quality. I spent fourteen dollars on a dessert called the shark attack only to find it had nothing to do with sharks despite the picture of it with a shark on top. Our waiter was very nice and attentive but definitely overworked . The hostess that we checked it with, was very nice and polite. We got to the restaurant about 30 minutes before our reservations, so she said that she was going to see if she could go ahead and get our table ready. I really appreciated that. We ended up not sitting until our actual reservation time, which was fine. We were expecting that anyway. However, what was really disappointing/frustrating, was that it took about 20 minutes to get bread and drinks. Having 5 children with us, made this even worse. You can imagine 5 young children all complaining that they are hungry and thirsty. I ended up ordering the most expensive steak on the menu, expecting to get the best meat. I was totally disappointed with the steak. There was SO MUCH fat on the steak, that I think almost every piece I cut off had some fat attached to it. For a restaurant that is associated with the Landry’s brand(which I am a Select Member of), I would expect the steaks to be MUCH better. Especially for the price that you pay! Really disappointed with the money spent of the meal. I will say this though. ALL of the employees that I interacted with, were extremely nice and helpful. Very good customer service. The aquarium itself was pretty cool. I definitely would not recommend dining there. The food was not worth the prices. We paid $40 for 2 over cooked burgers and cold fries. Our late lunch at the Aquarium was awesome. Our waiter Alex was very informative on the fish and activities going on there. He explained the feeding schedule to us and the children were amazed. We truly enjoyed and will be coming back. Thanks Alex! Service was slow even though the waitress was nice. Everything took too long. Food was great though. Had a great lunch w/ my son. I was also pleasantly surprised about the vegan option. Great experience! 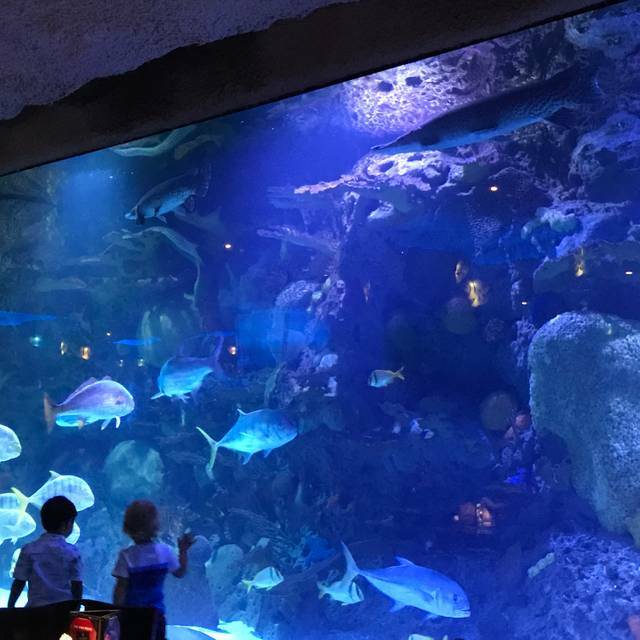 I enjoyed this restaurant, not so much for the food, but for the aquarium fun with my grandson. The food was okay, but definitely not as good as a regular Landrys Seafood restaurant. We took our two grandchildren and had a wonderful time. We had a large group over Spring Break. The restaurant was very busy, but they accommodated us very well. We even had 6 children. Great place for the kids with lots to do and look at. Parking is a little difficult, but not horrible.